Members receive a discount on the meeting fee. Through regular monthly meetings, members can network with other professionals and stay current on the latest trends and developments in the training and development field. Stimulating programs and workshops for practitioners at all levels are presented by outstanding local and national training professionals. Volunteering is a rewarding and worthwhile endeavor. Spend time with other Las Vegas learning professionals who give of themselves for a worthwhile cause. Your local ATD chapter has many opportunities to help and sends out notices regularly. 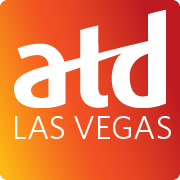 The directory gives members a complete roster of ATD Las Vegas members, including titles, telephone numbers, and email addresses. In addition it is cross-referenced by company.